Mobile Integrated System with HF and VHF radios, crypto equipment, data communication terminals, underwater communication system and PABx. 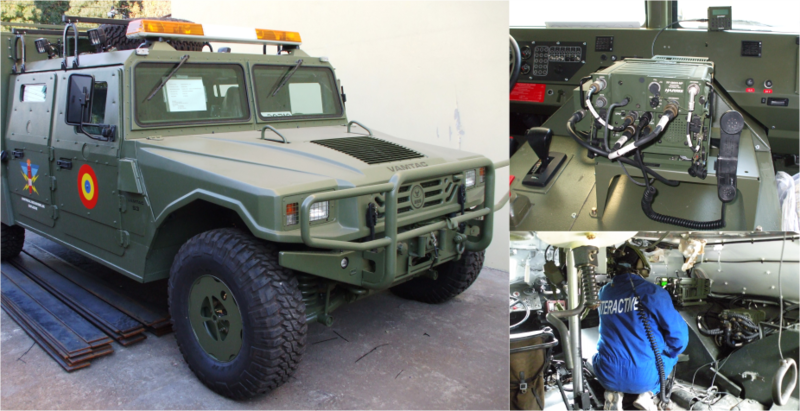 Fully integrated custom tactical communications vehicular system, using as platform an armoured URO VAMTAC vehicle. Equipped with RG-5800 FALCON II series HF. The RF-5800H-V002 RF-FALCON II 150 Watt HF radio system provides advanced capabilities for secure high-speed data and digital voice operation in both fixed and ECCM modes. Supports HF voice and data communication requirements while “On-the-Move” or while deployed with a “Static” location. Our solution can be customized to fit the needs of each individual customer.